Allan R. Bevere: What Does It Mean to Keep Christ in Christmas? What Does It Mean to Keep Christ in Christmas? Another Christmas season is upon us and thus another episode of the "War on Christmas" where the cast of many characters fight the nefarious forces "out there" that are bound and determined to undermine the central focus of Christmas, which is Jesus. Let me say at the beginning of this post that I think many Christians undermined keeping Christ in Christmas long before we started having words over the words of greeting we wish each other at this time of the year, but that's another post for another time. 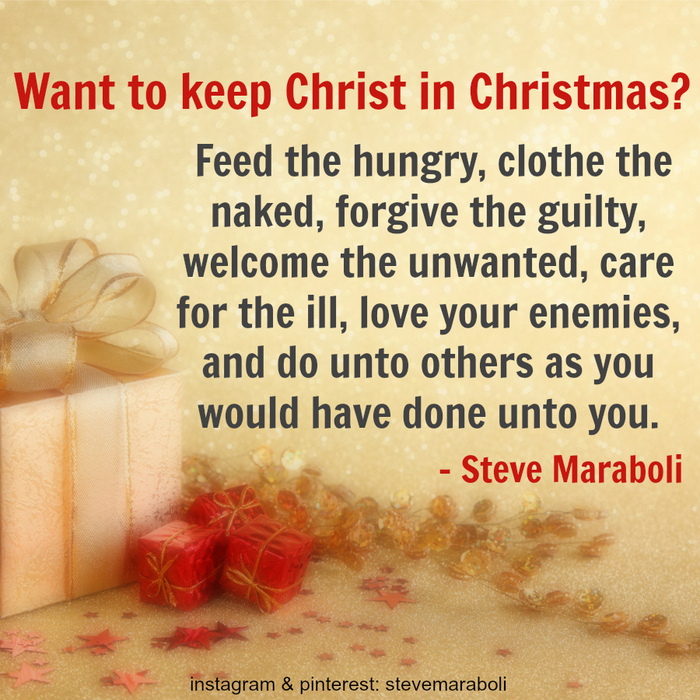 So how do we keep Christ in Christmas? 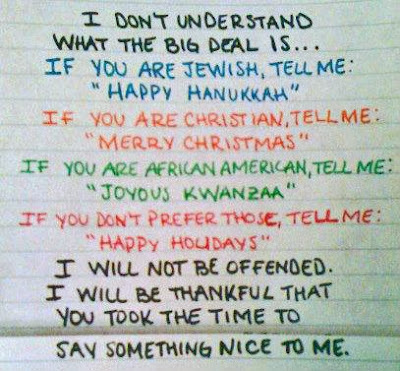 First, let me say that I understand why some are a little put out with the greeting wars each year. We live in a country where freedom of speech is an essential right, so I get it that folks get upset when they are told what they can and cannot say. I also understand why there is frustration with some folks when other folks get offended being offered a religious greeting they personally don't embrace. I don't get offended when my Jewish friends wish me shalom. I am also not offended when my Muslim friends say to me in Arabic, "Peace be upon you." It does seem that we live in a society where more and more people are in a competition to see who is the most offended. So, I get the point. The problem is that there is often more than one side to an issue, and Christians getting offended at others getting offended does not make anything better. Matters are seldom simple. Here's the reality: Employers can rightfully limit the speech of employees while on the job. The extreme example is that a worker can be fired for uttering profanity in front of customers; and even though some might think it silly to insist that a cashier say, Happy Holidays instead of Merry Christmas, they are allowed to do so. In certain contexts, free speech has limits and consequences. Second, it's one thing to get a little put out with the wordy wars among the greeting grinches; it's quite another thing to major in a minor and make a mountain out of a molehill, or an entire fruitcake out of cherry muffin. The anger I have seen displayed on social media is way over the top. It's the perfect example of what some have called slacktivism-- publicly expressing outrage without having to sacrifice to right a perceived wrong-- "Share this post if you are not afraid to say, Jesus is Lord," is easy at the computer. It's quite another to actually say that to a stranger's face or put one's life on the line for that affirmation in a place hostile to Christian faith. There's nothing wrong with sharing these kinds of things on social media, but let none of us assume we have done something courageous. The church does not canonize saints and martyrs based on social media posts. If I am a cashier at a grocery store and I do not know the person I am waiting on is Christian or Jewish or an atheist why would I wish her a Merry Christmas when I do even know if she celebrates Christmas? If I know someone is Jewish I might say to him, "Happy Hanukkah," but what if that person doesn't believe in God? Some followers of Jesus need to be reminded that freedom of religion applies to everyone in America, not just Christians. I do not understand why some Christians garner such a piggish and snobbish attitude that everyone regardless of faith should wish and be wished Merry Christmas?" I want people to recognize Jesus of their own free will and not be forced into it-- and by the way-- Jesus never forced himself on anyone during his ministry-- And I will tell you this: some of the people I know who are so obsessed with keeping Christ in Christmas carry some of the most unchristlike attitudes and beliefs that Jesus would in no way recognize. Maybe insisting on one particular Christmas greeting is their way of making up for their unbiblical views and testifying to their faith without having to sacrifice much. It is easy to keep Christ in Christmas by making other people talk our talk, but it is more difficult to actually walk the talk of keeping Christ in Christmas. Sure, we don't mind giving gifts to the people we love (and that's a good thing), but how about actually living our faith in such a way that we embody the major themes of the Christmas story? Perhaps the real war on Christmas is being waged by those who are most obsessed with the "War on Christmas," where the sacred story of peasants giving birth to a child among animals and who become refugees in another country mean nothing for how Christmas is celebrated in the twenty-first century. 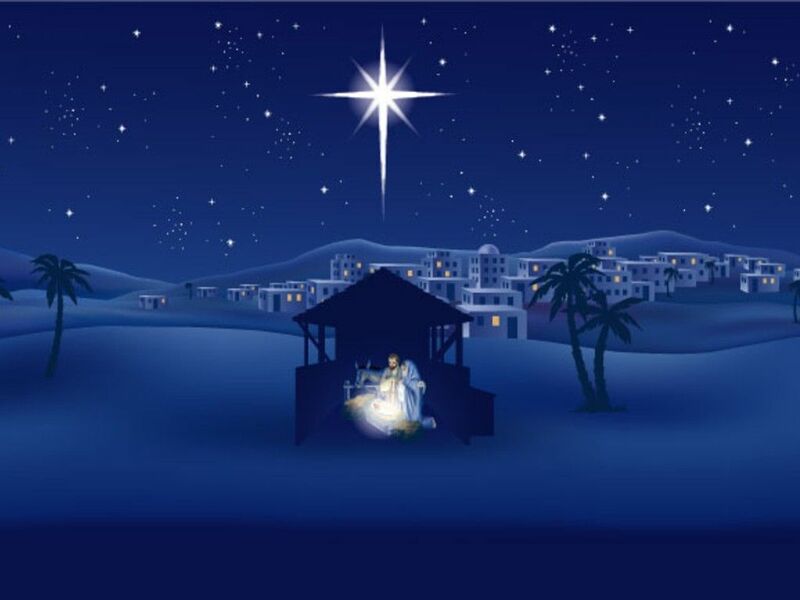 While focused on a trumped-up war on Christmas, lost in this sacred story is the rescue which is offered to all people including persons labeled as "those people," and whose skin color is closer to the babe in swaddling clothes than those who are obsessed with keeping Christ in Christmas. Perhaps all of us who celebrate Christmas need to refrain from our pronouncements of certainty and humbly bow in front of the manger always growing and learning what it means to keep Christ in Christmas in ways that do not betray the Christ we follow. Any competent study of the New Testament reveals that is not easy; and it involves much more than a politically correct greeting insisted upon by the Christian Christmas Warriors. If we approach the nativity in humility, we will indeed be challenged to keep Christ in Christmas... and throughout our lives. That's not easy, but at the manger we will also find that by the grace of God it is possible.